Aahhhhhh, I love the wheels. No picture from me, although I did wash my car yesterday. I saw the UUC one and I was going to ask you if it was good enough quality to invest in. With the carbonfiber lip held on by screws I could see it encountering some serious pressure at high speeds. The last thing I'd want to have happen is part of it rip off while I'm flying down the highway. I actually had to cut 2" off of a spoiler I have on my Integra GSR and change the angle slightly because it was actually cracking the paint on the underside of the spoiler from downforce. Now it seems to be ok. I love the look of your spoiler though. My car doesn't have anything on the back right now and I'm seriouly looking. The CF lip on the UUC wing is held on nice and tight, and it's not going to come off as the speeds increase. What you need to worry about is the entire wing itself moving against your trunk lid as the winds increase. I did not take the proper precautions for this, and my Hartge wing has slid to the back of the trunk enough to have scored it up nicely - To the point where I will now no longer remove the wing because it's a huge mess underneath. To be honest, I wish I had never added the wing. 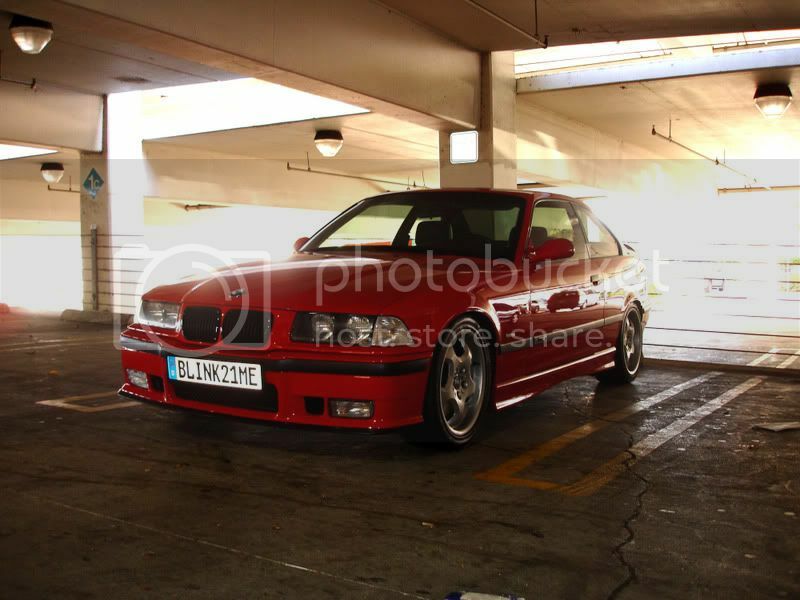 I see my friend Corwyn's wingless Estoril M3 all the time, and I get super jealous. I always liked the clean look on the back, and now that I do not have the option of removing the Harte piece - which was the whole reason I chose that spoiler - I find myself really remembering the grass to be a lot greener on the other side. The CF lip on the UUC wing is held on nice and tight, and it's not going to come off as the speeds increase. It's true, I've been directly behind CMT at some pretty high speeds. Looks fantastic too. All times are GMT. The time now is 08:29:28 PM.